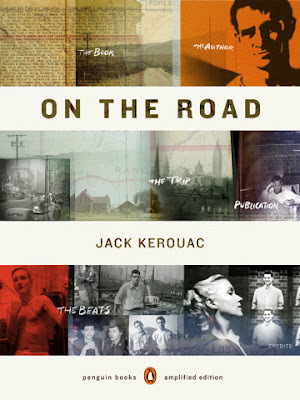 The long-awaited movie adaptation of Jack Kerouac's 'On The Road' is due out soon. So long in fact that, remarkably, the definitive document of the Beat Generation has gone from famous 120-foot scroll of typing paper to the very latest digital format, an iPad App, before finding its way onto the silver screen. Penguin's 'amplified edition' has a great cover, awesome subject matter, and contains lots of interactive features detailing the book's story, the Kerouac mythology, and the associated American literati of the time. And of course the rest of Kerouac's canon is just a click away, with user-friendly 'one-stop access' to Penguin's catalogue. Not the same as owning a battered copy of the novel, but nicely done, and a great project to be designing for. Let's just hope the film captures at least some of the magic of the book.